For some people a reverse camera may seem like a luxury, but these days it’s more of a necessity. In fact, the National Highway Traffic Safety Administration released a statement saying that, as of May 2018, they will require all new vehicles to have this technology. Why is it so important? Not only does it save lives, but it also will help to avoid any accidents. The way cars are made these days as compared to older cars, makes it absolutely necessary to have a reverse camera. Cars are created with deeper doors and smaller windows, especially in the back, to help with crash protection and airflow for fuel economy. That is why Limitless Electronics is proud to sell this lifesaving technology to the Idaho Falls area. As your expert Experts in all things car related, we offer these top brands for Idaho Falls reverse cameras. 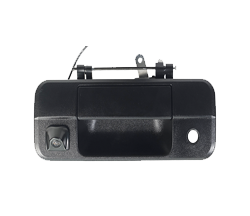 When adding an Idaho Falls reverse camera to any vehicle it requires wires to be ran through the vehicle. Limitless Electronics installs all of our reverse cameras for your convenience. Are you in the market for a new in dash receiver right now? If so this is the perfect opportunity to choose a receiver that is equipped with reverse camera video inputs. Just by shifting into reverse you will be able to see a low, wide angle view of what’s behind you. No room for an in dash receiver? That’s an easy fix! You can either opt to get a dash mounted monitor or a replacement rear view mirror. You can always count on all of Limitless Electronic’s reverse camera’s to be tiny and weatherproof. Even so, there are some differences to consider when purchasing the perfect reverse camera for you. Parking Lines – Your onscreen guide to help you park into those “oh, so tiny” spaces. Mirror Image – mimics an actual rear view mirror. Some reverse cameras have this as an option. Viewing Angle – Many reverse cameras have a good horizontal angle, some even go to 190 degrees! The wider the angle the more you will be able to see at a glance. Mounting – This can be the deciding factor when purchasing your Idaho Falls reverse camera. With different options to choose from like, lip mounting, bracket mounting, license plate mounting, and vehicle specific mounting you will want an expert’s eye to point you in the right direction. Have an expert at our Idaho Falls showroom take a look at your vehicle to assess what type of mount would be best for you. For peace of mind, you owe it to yourself and those around you to get an Idaho Falls reverse camera for your vehicle. If you do not have a reverse camera or are not satisfied with the one your vehicle came with, come by our showroom today and let us help you make the best choice.